Dental veneers are light ‘shells’ that improve the shape and position of your front teeth. Made of porcelain or composite (white filling) materials, they are a popular cosmetic dental treatment for people whose front teeth are crowded, gapped, broken, or have treatment-resistant stains. They are bonded over your natural teeth to give you a smooth, white, and symmetrical smile. 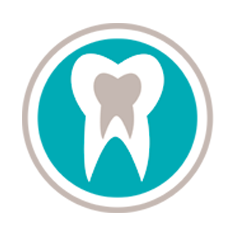 After a consultation to assess the suitability of your teeth, being fitted with dental veneers requires two visits. During the first session, your dentist may gently remove a small layer of your tooth enamel to support a better bonding surface for your veneers. Then a precise impression is taken of your teeth to serve as a model for the new restorations. When the veneers come back from the dental laboratory, we will call you back in and bond the veneers with a special dental adhesive after ensuring that you are pleased with the results. You will leave our clinic with a much improved smile. Whether you are seeking to improve the appearance of a single crooked tooth or looking for a complete smile makeover, dental veneers are an ideal option for a quick and affordable smile regeneration.